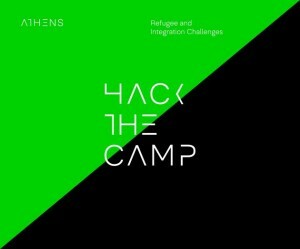 #HackTheCamp is the inspirational Hackathon on refugees and their integration challenges. It is organized by the Impact Hub Athens, the Οnassis Cultural Center and the U.S. Embassy. The Hack the Camp is a Hackathon: concentration of I.T people and not only. They are called “hackers” and they are intensively working on the same site to carry out a project. However, in this case we are talking about something different. We are talking about a creative marathon with humanitarian purpose! Refugees face daily problems and they want practical solution as their lives are on the air. I love twitter! Yes I love it because it was the tool that gave me the opportunity to participate on this event as I was get informed by #HackTheCamp. Unfortunately I miss the first day of this event because I didn’t know it. Friday night I came back to my place I checked my twitter and #HackTheCamp appeared on my screen, I remember the day it was Friday 21 of October. At the beginning I felt fool because I have missed that. However I read that “Meet the Hackers” event would continue on the next day : on Saturday 22 of October. I was so excited with this idea and nothing could keep me in my place. So I decided to go on the second day, I didn’t want to miss that. I wasn’t sure if my presence will be accepted as I have missed the first day. With many refugees in Greece, a job search mobile application is only a small way to help refugees to find a proper job. Many of them are very skilled people, who just want to make a new start in a welcomed place. Nobody can feel free without his/her independence and security. Undoubtedly with a job can start your life again. Many refugees have limited technology materials apart from their smart phones, as most of their valuable left behind. So that why I strongly believe that a smart phone application is totally addresses to theirs needs. Refugees stay connected to their job search while on the go. Search, view and apply to jobs. 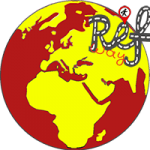 Key features of RefWay App will be: – Refugees will be able to search, view and apply to jobs. – They could create RefWay profile and store resume, job applications and job lists. – Save job posts to apply later / or email them to a friend / or share job posts through social media. – Keep up to date with the status of your applications. – See jobs similar to those you applied. – Technical and not only support through embedded contact form. May I ask you a favor? I would like you -please- to see, check my first, premature, prototype, how the RefWay application would look like in terms of layout, and features. 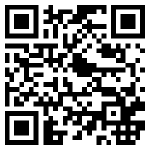 I would be more than grateful people if you could check the bellow link & “run” RefWay Application. Your comments and suggestions would be more than useful and helpful. Thank you very much for your attention.